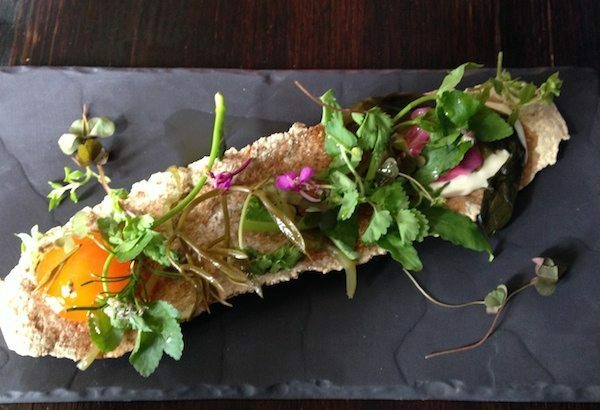 The latest craze to hit the streets and the trendy restaurants are foraged foods. 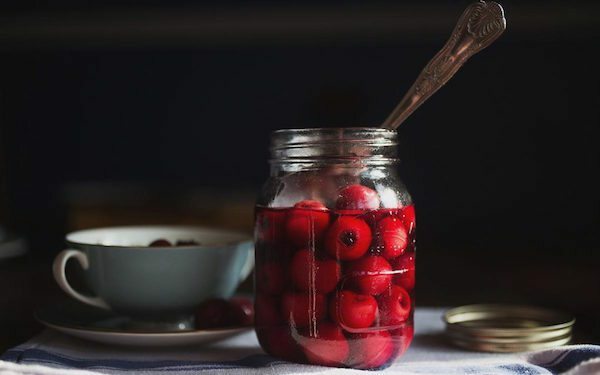 Of course foraging has been around since man – so the concept of foraging isn’t that new, but now there is a definite trend towards going back to what we actually discovered thousands of years ago. A few thousand years later, man industrializes the system of food production. In the new millennium, man realizes that the old system wasn’t half bad and embraces the locavore movement. Finally in 2010, man takes local sourcing one step further: man returns to foraging. 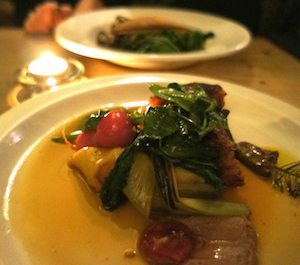 Restaurants such as The Chimney House in Seven Dials are using exciting foods to broaden the spectrum of ingredients on their menus and Brighton newcomers 64 Degrees and Silo are also adding foraged ingredients to their menus. Foraged ingredients are therefore every day foods and they could be the weeds that we walk past in a field or garden (usually when on our way to the supermarket) and they’re in abundance. Foraged ingredients are perfectly good, (mostly) organic food that have not been over harvested, had harsh chemicals or pesticides sprayed on them and they’re available right on your door step. So why are we not taking more advantage of this free food? Because we have lost the ability to forage. Our ancestors used the amazing power of natures plants to feed and heal people on a day to day basis. As do herbalists today, except generally, most people would rather go to the doctors to rid them of their ailments than seek these holistic people who want to find the root of a problem. But if you don’t own the land on which it grows, can you legally pick it? The Theft Act 1968, for England and Wales, states that: “A person who picks mushrooms growing wild on any land, or who picks flowers, fruit or foliage from a plant growing wild on any land, does not (although not in possession of the land) steal what he picks, unless he does it for reward or for sale or other commercial purpose”. However I certainly wouldn’t recommend jumping onto a local farmers field and stealing their hard earned living. I’m talking about weeds that grow in your garden, the ones you think are annoying and sometimes ugly. The law is very complicated and there are several versions. After one hundred years or more of campaigning, CROW now enshrines in law a “right to roam” for people on foot only (with dogs too, if desired) to access open country in England and Wales. Open country is defined as mountain, moor, downland and heath and registered commons. It also includes land that has been voluntarily opened up by a landowner – the Forestry Commission is an example of one such a volunteer. As with most legal issues, there are exceptions and exclusions – for example the right to roam does not cover golf courses, buildings, sensitive nature reserves and cultivated land. According to Fergus the Forager generally “the law and order country code of honour states that if the underground portion is harvested then strictly speaking the part of the plant that grows above ground should be left on site and not taken away. By doing this the forager is demonstrating that his or her intention is not to permanently deprive the landowner of the goods. However, they may still leave themselves open to a charge of criminal damage, if permission from the landowner is not first sought. When we are talking about root tubers plants such as wild carrot, wild parsnip or dandelion, it is also unsightly. However on land which has been opened up under CROW rights – the harvesting of any wild plant parts is forbidden”. So as you can see, it’s very confusing, therefore either get permission, use your own land or go with someone who has sanctification. “Robin Harford is an ethnobotanist and creator of Eatweeds, which is considered to be the UK’s leading wild food foraging site. He specialises in wild edible plants and has been teaching people about their local edible landscape throughout the UK since 2009. He is a director of Plants & Healers International, a non-profit that connects people, plants and healers around the world. 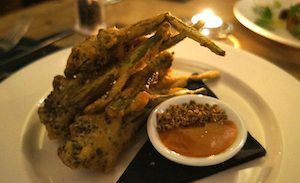 He also travels extensively documenting and recording the traditional and local uses of wild food plants in indigenous cultures, and more recently his work has taken him to Africa, SE Asia and Europe.” You can book a course with Robin on his website but hurry as they book up quickly! www.foodforagingcourses.co.uk offer wild food and mushroom foraging days out. This site also has some nice recipes, see below. You have to be very careful with mushrooms as most are deadly so taking expert advise from a professional is important. There are various people on this site advertising in Sussex, one of which is Anna Richardson who offers a full day foraging adventure for spring greens, flowers, medicinal herbs, berries, nuts and fruits and also acorns. You will go home with a selection of goodies that you have made sat around a campfire. http://huntergathercook.com/courses/seasonal-day-courses/ also catch game. 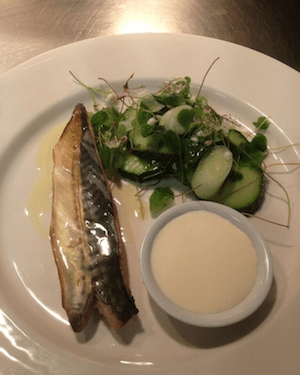 Some of their courses include Butchery – Rabbit, Pigeon, Squirrel & Trout, Wild food walk, Seasonal Wild Cocktail workshop & tasting, Fire & Wood Selection or Outdoor Cookery – Clay ovens & Home smoking. They even do stag and hen days which makes a nice change from the usual do’s. http://www.wildforage.co.uk again does a selection of foraging courses, bespoke and hen and stag days. I particularly like ‘eat the beach’ – plants and seafood where lunch is served with what you forage with artisan breads and local liquors! http://www.ruralcourses.co.uk/wild-food-walk/ offer a home cooked lunch with the foraged food that you find. 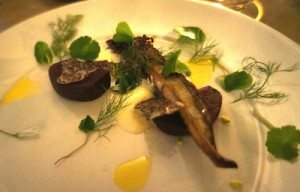 To prove that living off the land isn’t just a nice idea in 2009 Michael, the owner of Rural Courses undertook the challenge of a lifetime, walking from St.David’s, Wales back home to Kent (a journey of well over 300miles) living solely on wild foraged food. By travelling up to 25 miles a day, Michael walked with his friend Chris through the changing landscape finding food in diverse habitats and survived to tell the tale to many. Used for: Strengthening and supporting the whole body, childhood eczema or nose bleeds. -Bring a large pan of water to the boil and tip in your nettles and let them boil for 3 minutes. -Scoop out the nettles and put into a sieve to drain, do not throw away the water, bring it back to the boil and pop your pasta in. -Put the onion in a large frying pan with a good glug of oil. As it is cooking, finely chop the wild garlic and put it in the pan with the onions to wilt down. -Roughly chop the nettles and add them to the frying pan. -Stir in two thirds of a pot of crème fraîche and add seasoning. -Save one mug of water from your pasta and drain the rest away. -Tip your pasta into the sauce and give it a good stir to evenly coat it. Add the cheese. The mug of reserved pasta water is to thin the dish out if it gets too thick, it will also help flavour it. Used for: A fantastic diuretic with high levels of potassium. This is a great tonic for liver and gallbladder problems. The leaves can be eaten in salads which are great for digestion, however they can taste quite bitter. Used for: Delicious stir fries. It has a high amount of Manganese and folate. 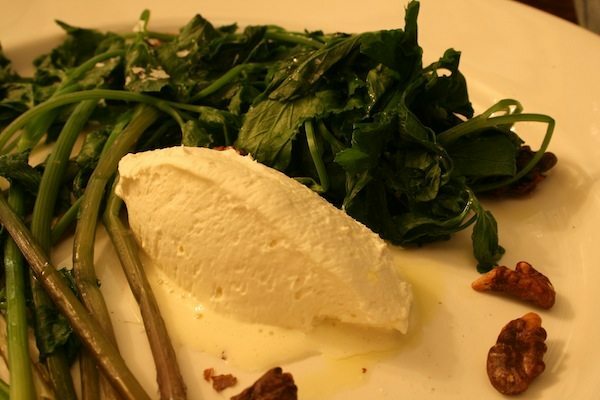 Sea beet is related to spinach and is an ancestor of beetroot. It forms sprawling clumps on shingle beaches and cliffs as well as other coastal habitats. The leathery leaves are dark green and glossy, and the stems are often reddish. Yellow stamens are visible when the plant is in full flower with the tiny flowers being stalkless and petal-less. Melt the coconut oil in a pan on a medium to low heat and fry the sea beet with the tamari for 2 mins, then add the seeds and seasoning. This is the sticky weed that sticks to everything. When they flower, the balls tend to stick to dogs and can be quite troublesome. You need to harvest it before flowering. Parts used: Aerial parts and fresh expressed juice. Used for: Medicinal purposes. This is the best herb for the lymphatic system, the cleaning system of the body. If this system gets clogged there are many things that can go wrong in the body. The many uses are swollen glands, especially tonsillitis and adenoids, skin conditions such as psoriasis, cystitis, ulcers and tumours. So, what are you waiting for? Get foraging! 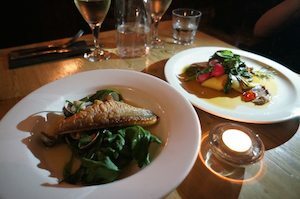 All foraged dishes and photographs are courtesy of the Chimney House in Seven Dials.